We know you will have questions from time to time. To help you out, we've put together a list of the most frequently asked questions, so you can find the answers you need 24-7. 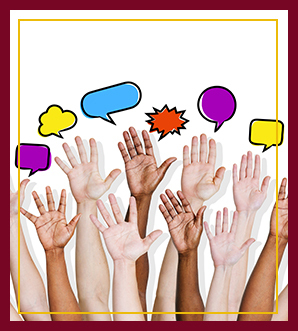 Of course, if we don’t address your concerns here, please contact us; we are happy to help. Are students required to take religious courses? 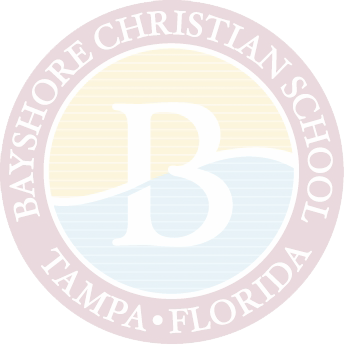 We would like to apply to Bayshore Christian School. What is the admissions procedure? What is the dress code at Bayshore Christian? Is there a uniform requirement? My child must miss school due to illness, a medical appointment, or other obligation. How do I report my child’s absence? How will I know of school closings due to weather or other emergencies? Yes, we require all students to participate in Bible classes and weekly chapel services. We model and teach Biblical standards of behavior. Please visit our Admissions page for more details and forms. We desire our school to be distinctly different from other schools and require our students to dress appropriately in modest uniform attire. For the specific dress code per grade level, please refer to our uniform requirements. We ask parents to please notify the office by 9:00 a.m. on the day of the absence. We require a written excuse when students return to campus. Valid, excused absences include: illness/injury; death, illness/injury within the immediate family; instances where attendance by the pupil would be hazardous; prior approval of special absences; school-related activities; validated doctor appointment; validated appointment for driver’s license test date; college visits (up to three per year for 11th and 12th grades). We will not promote students who are absent more than 20% of the academic year, excused or unexcused, to the next grade level without approval by our administration. In the event of hurricanes or other weather emergencies, we follow the Hillsborough County School District’s closing policy. Please tune in to local radio and television stations for Hillsborough County school closings.